RISHIKESH, INDIA - OCTOBER 9, 2014 : Unidentified poor man sits on the ghat along the Ganges river. Poor Indians flock to Rishikesh for charity. hd00:23RISHIKESH, INDIA - OCTOBER 9, 2014 : Unidentified poor man sits on the ghat along the Ganges river. Poor Indians flock to Rishikesh for charity. 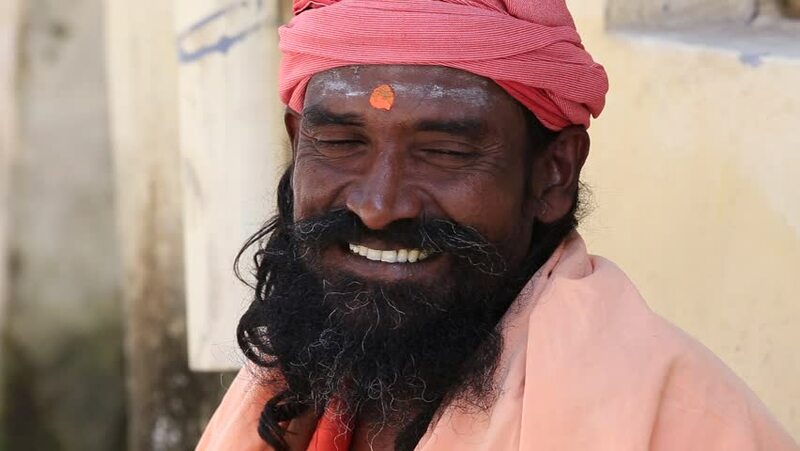 hd00:15RISHIKESH, INDIA - OCTOBER 9, 2014 : Unidentified poor man sits on the ghat along the Ganges river. Poor Indians flock to Rishikesh for charity. hd00:13Scary portrait of young girl with Halloween blood makeup. Beautiful latin woman with curly hair looking into camera in studio. Living dead greasepaint. Slow motion. 4k00:07Backlit shot of mature man with greying beard goes from just content to smiling.